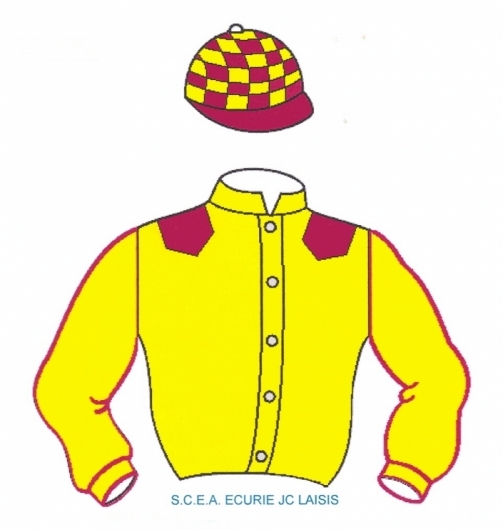 … ROSE DE REIMS (by Bonbon Rose out of La Louvine) who courageously won her first race over hurdles. In this race with many runners, it was not always easy for her to find her place. Actually this filly doesn’t like being close to other horses but her jockey Mathieu Delage managed to have her isolated and in spite of a few hesitations on the last two fences… she managed to finish well.